Robert is a registered chessvariants.com member. 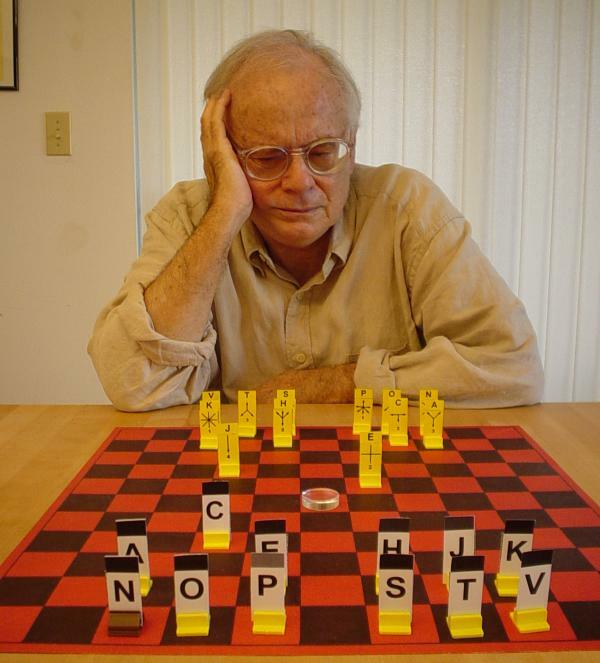 Robert Abbott is a well known game and maze inventor. In the world of chess variants, he is known as the inventor of Ultima. The picture above shows him working on a revision of his game "Confusion". For citational purposes, we keep records on anyone who contributes content to this site. Since Robert Abbott has contributed content to this site, our database listing on RobertAbbott needs to stay up. But if this person is dead or no longer interested in remaining active on this site, let us know, and this account can be made inactive.